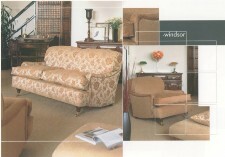 Our business provides a number of different services and offers all types of professional upholstery - Antique and Modern. We can work with horse hair as easily as modern foams, full restorations or small repairs. Specialists in Antique restoration for both domestic or contract customers. Huge range of fabrics are available. We can provide classic loose covers tailor made and fitted by hand in our workshops. You can choose from plain, gathered, or box pleated skirts as well as a piped or plain seam. 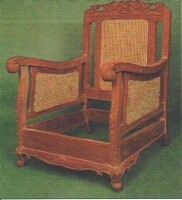 Seat cushions can be refilled with foam, fibre or feather. A well made loose cover is still an excellent way to revitalise a tired piece of furniture. There is a huge range of fabrics and many are fully washable. Try our Traditional French Polishing or Modern polishing to restore the beauty of your treasured furniture. There are a large range of traditional and contemporary styles, for example solid beech frames, upholstered to customer requirements. The recovering and trimming of classic and modern motorbike,vehicle and boat interiors is available. We can copy originals or cover to customer specifications. The choice of materials are open to customer preference, vinyls and leathers as well as specialist materials are available. 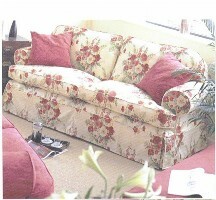 Complete Reupholstery, New cushions, Foams replaced, Special size mattresses.